We're all ears (poster featuring an image of a furry animal's ears, possibly wallaby). Since 2013, CityLibrary has given students the chance to help choose the books we have through the More Books scheme. So far, just over 2000 books have been bought. You can find a selection of these on display on Levels 4 and 5 of the Northampton Square Library, as well as below in our virtual display. Books on all kinds of subjects have been bought covering many courses taught at City. From health sciences to law to engineering, psychology, history, English, maths, computing and beyond, there is something for everyone. You can get in on the act by filling out the More Books form online (or the Read for Research one if you are a research student) here. Tell us what’s missing from the collections, whether it’s a classic text you think every library should have, or a title that just never seems to be on the shelf when you need it. The scheme was set up in response to student’s wanting to have more control over books that were bought for the library. 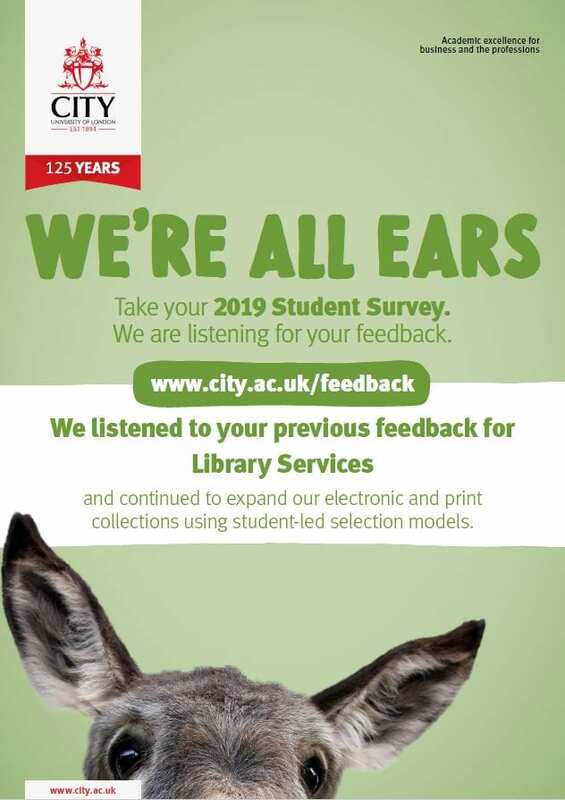 To see what else Library Services have done to improve the student experience, check out the Student Survey section on the Student Hub.